Here in California, the continuing historic drought has everyone ripping up lawns and covering up pools. What we’re referring to, however, is the very intense activity we’ve seen at Kinetic River in the last 6 months. Below are just the highlights; we’re already busy preparing for CYTO 2015, held in Glasgow, Scotland, this year. Hope to see many of you there. The year started off with a bang as we designed and built from scratch new Modular Flow Cytometer in collaboration with Qioptiq / Excelitas Technologies–all in less than of 8 weeks. 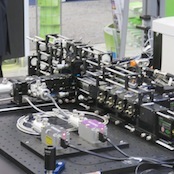 We showed the working prototype at Photonics West in San Francisco in February. Next week it will be showcased at Laser World of Photonics in Munich, Germany, before hopping over to Glasgow, Scotland, for CYTO 2015 (see more below). 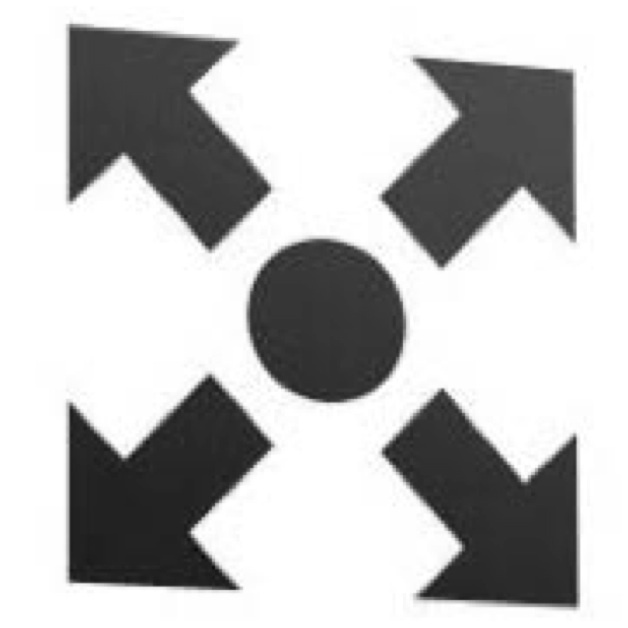 Remember seeing this clip art before? In one of our newsletters? That’s because we’re expanding again! Our lab space was getting too small, so when we had the opportunity to take over the rest of the facility we had moved into, we jumped at it. This quadrupled our lab bench space and added office and meeting spaces. We also secured control of additional lab and office space for future use. 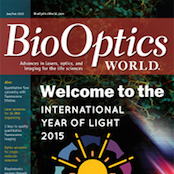 Earlier this year, BioOptics World published a feature article coauthored by Dr. Vacca and Prof. Jessica Houston, New Mexico State University, “ Instrumentation Advances Add Flexibility and Quantitation to Flow Cytometry. This article reviews the application of fluorescence lifetime to flow cytometry to help measure absolute levels of analytes at high throughput–and provide a flexible new platform with the potential to drastically reduce compensation issues. 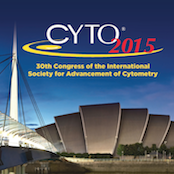 The CYTO 2015 Congress and Exhibition will be held June 26-30, 2015 at the Scottish Exhibition and Conference Centre in Glasgow, Scotland. We will be in Booth #324. 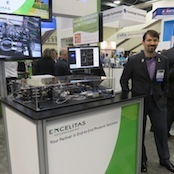 Come by the booth to see our demo, a Modular Flow Cytometer we designed and built from scratch almost entirely from Excelitas components. 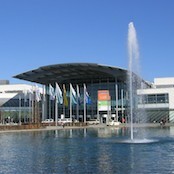 If you won’t be in Glasgow but can make it to Munich next week, drop by the Laser World of Photonics June 22-24, 2015 at the Messe, Munich, Germany. The Modular Flow Cytometer we designed and built will be on display in Hall B1, Booth #103 by our development partner, Qioptiq / Excelitas Technologies. Please note that the exhibition runs until June 25 but the demo will be on display only through Wednesday, June 24. We look forward to connecting with many of you at CYTO, and as always you’re welcome to drop us a line if you’re in Silicon Valley and would like to visit.